The Volvo Concept Wheel Loader ZEUX – a digital prototype for a real-world autonomous construction machine – has won a coveted Gold Award in the Professional Concept discipline at the global iF Design Awards on March 15. The concept swept jurors away as an exciting demonstration of how driverless machines can be made safer in the future. The gold award puts the Scandinavian brands in the same esteemed company as Ferrari, BMW, Apple and Samsung. A judging panel of 67 independent design experts said, "This is more than a toy construction play set with a drone for young talents who want to improve their technical skills. Volvo and LEGO teams have combined their professional experience to create a constructive concept for future engineers. What a great way to get the next generation interested in complex thinking while playing!" 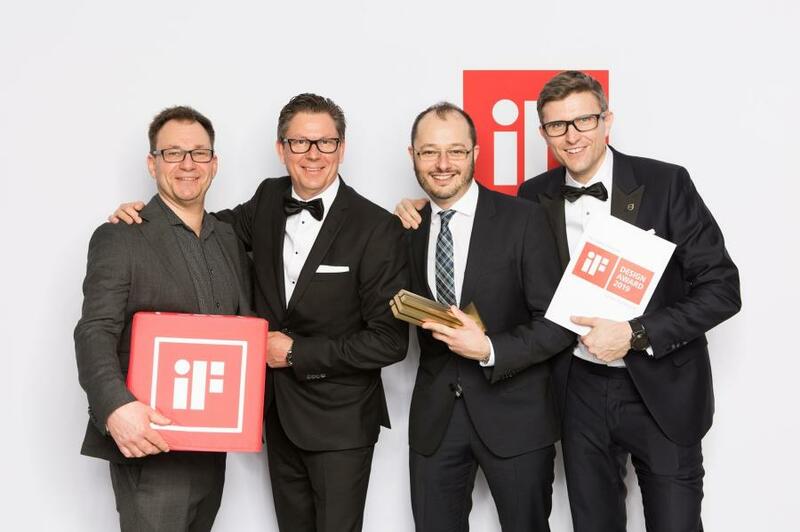 Picking up the award at the BMW Welt in Munich, Germany, in front of 2,000 guests, Mats Bredborg, head of Brand & Market Communication at Volvo CE, said, "This award is a crowning accomplishment on what has been a truly enjoyable partnership with LEGO Technic. We set out to test ideas for the construction machines of the future and now, not only do we have a blueprint for machine automation, but we are celebrating this innovation on a world stage." Volvo CE Design Director Gustavo Guerra said, "Our Volvo CE Design team has once again demonstrated great vision and passion to keep driving our brand and design ideas forward. We are proud of this milestone, and although this is our first iF Gold Award, we will continue to push the boundaries to make sure it is not the last." Niels Henrik Horsted, marketing director at LEGO Technic, said the award is yet another sign of the strong collaboration that exists between Volvo CE and the LEGO Group. He said, "We've enjoyed a very close working relationship with the team at Volvo Construction Equipment over the last few years and have created some really great LEGO Technic models together. We are extremely proud to have played a part in this Design Award. It is well deserved."